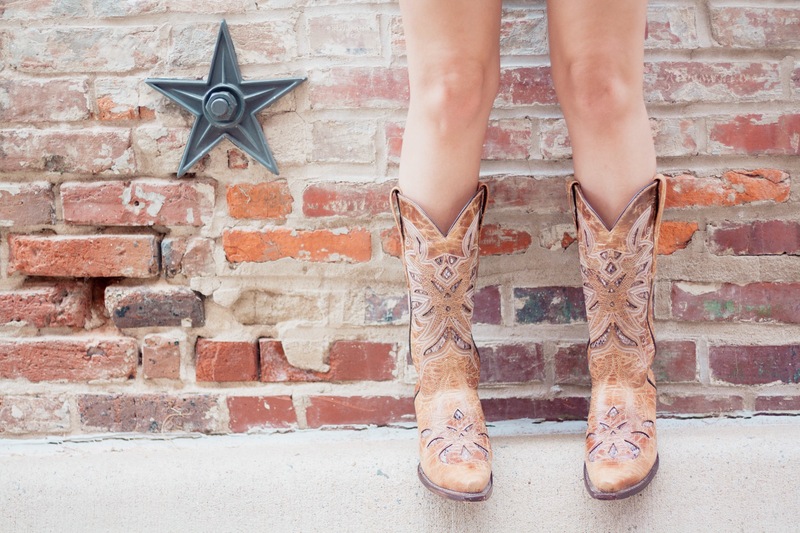 Western boots are a staple to a Southern girl’s wardrobe. No matter the season, boots are always a good go-to when you’re at a loss of what to wear. 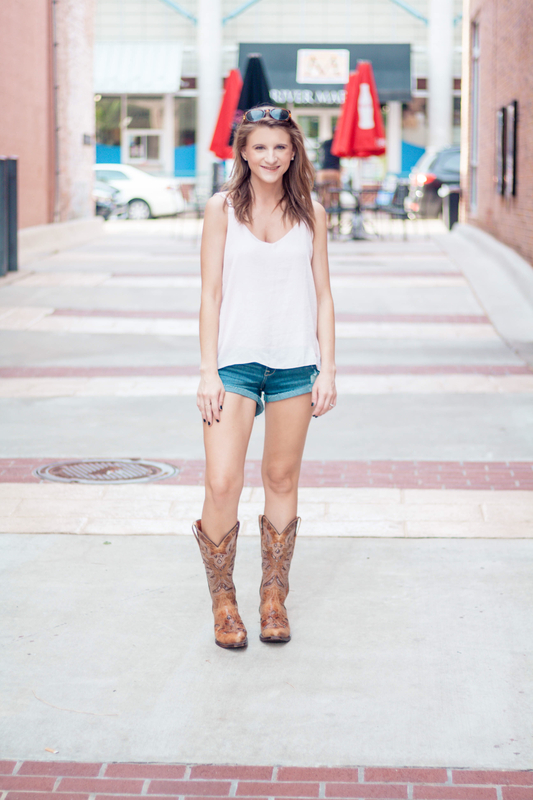 I teamed up with Corkys Footwear to showcase their adorable western boots. You may know Corkys from their famously comfortable flip-flops. I’m guilty of owning more than one pair! Corkys is an Arkansas company and I love supporting my local razorbacks! See how I styled the boots from Corkys below! Sometimes you just need to throw on a pair of boots instead of sandals. 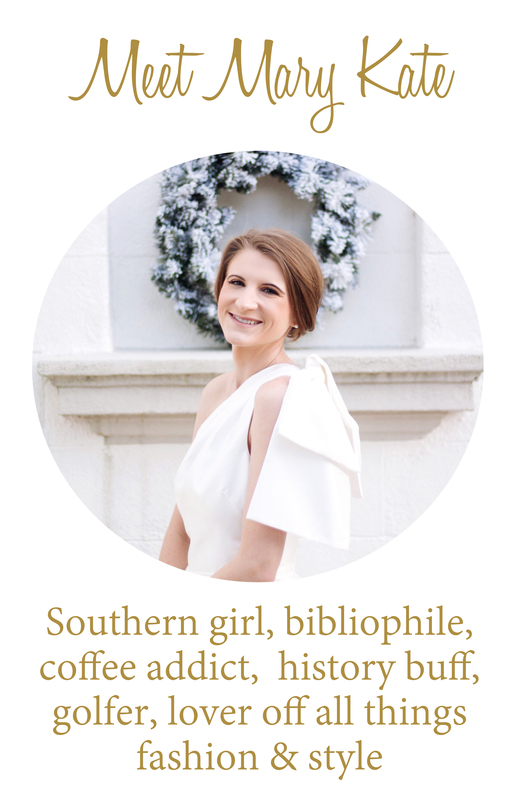 I totally get it; it’s the Southern girl in all of us. Boots worn as fashion can be intimidating. They’re rustic and can pigeon hole an outfit easier than most pieces I own. But don’t be afraid! When styled correctly, they’re actually quite versatile. Wear them with flowing summer dresses, jeans and blouses, skirts and crop tops, and like I wore here, shorts and camisoles. For this outfit, I wanted to dress the boots down, but also add an elevated touch. 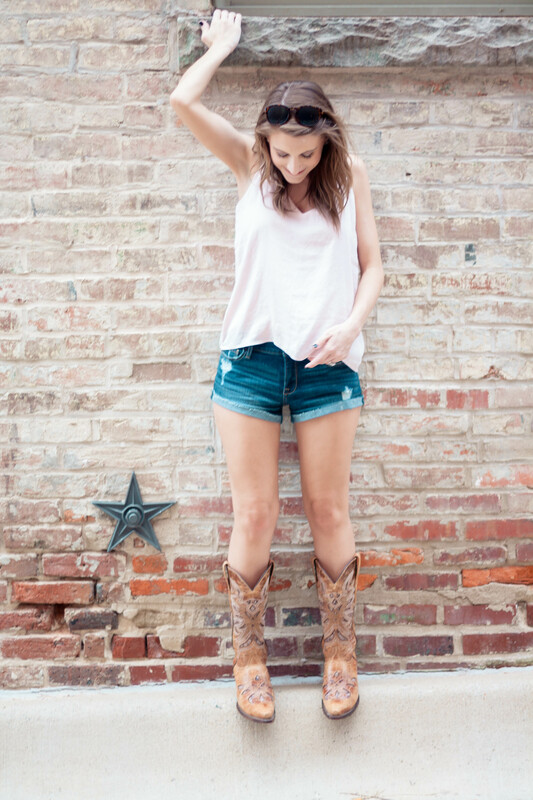 Distressed jean shorts are a typical choice to pair with boots for the summer heat. Layering a light pink, silk camisole on top adds a texture of luxury to an otherwise low-key outfit. Keep an eye out next week for another pair of stylish shoes from Corkys Footwear next week on the blog! This post is sponsored by Corkys Footwear, but all opinions are my own! I definitely need a new pair of boots! Those are so cute!